Once upon a time English is one of the important conditions for some job opportunities and promotion, but now learn mandarin Chinese become the essential condition of south Korean companies recruiting staff. A Korean trading company staff lee said, "the company clear requirements, said only speak English is no good, increasing trade with China for the company, we have to learn Chinese." Mandarin in South Korea is so important in the workplace prerequisites, can also be sentimental. In recent years, South Korea and China trade scale expands unceasingly, a big increase in Chinese tourist to Korea. Therefore, the Chinese become a compulsory subject to Korean workers. In South Korea, "leisure life" has become the past. South Koreans regards learn skills as a means of competition. Learn Chinese fluently, regardless of age. An aged more than 50 staff said, he has been learning Chinese by self-study and professional teacher at school for three years, completed HSK5 level, it is very hard for him. He always wanted to have a good teacher, so that he can learn more easily, and find pleasure in the process of learning Chinese language. While in South Korea, also has a lot MandarinGarden international Chinese teachers to make Chinese classes lively and interesting, they carefully prepared for South Korea people little games and classroom situation simulation, from the south Korean popular culture to introduce the history of Chinese fictions. In South Korea, a lot of families like to let their children homestay in Chinese teacher family. 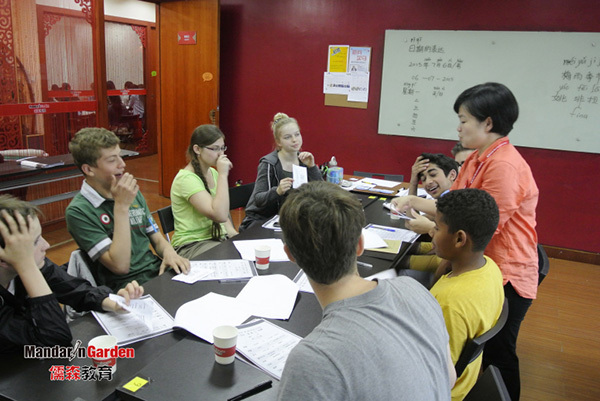 Because of their work is very busy, and do this can let the children learn mandarin Chinese more quickly. Their first choice, of course, is the authority for HomeStay qualification and experienced teachers.